If you had to pick one city in the country with the best bar scene, you better consider the Big Apple. 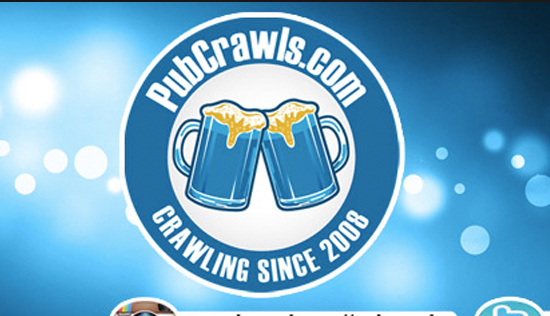 New York City is the perfect place to host a massive pub crawl, and the producers of the world’s largest pub crawl, PubCrawls.com, have decided to host their next massive event in New York City’s East Village. Once summer rolls around in NYC, we love to take part in bar crawls, but there’s one holiday weekend that we all anxiously anticipate, the fourth of July. This year, we’re looking to host our famous Red, White, and Brew pub crawl in New York City, and it’s the talk of the town. With amazing drink specials and a plethora of venues to choose from, you’ll be walking around Downtown Manhattan all day visiting the best venues in town. The summer is officially here and the warm weather is the perfect time to take advantage of the outdoors. Forget about the crowded parks and the overrated cookouts – it’s time to visit some of the best bars that the city has to offer, enjoy great drink specials at each of them, and meet new friends while you’re at it. This is a historic and proud holidays for all American’s and even those that may not necessarily call the USA home. We have won our independence and are ready to celebrate in style. The red, white, and blue flags are ready to come out in spirit and pride for this year’s annual Red, White, and Brew pub crawl events. 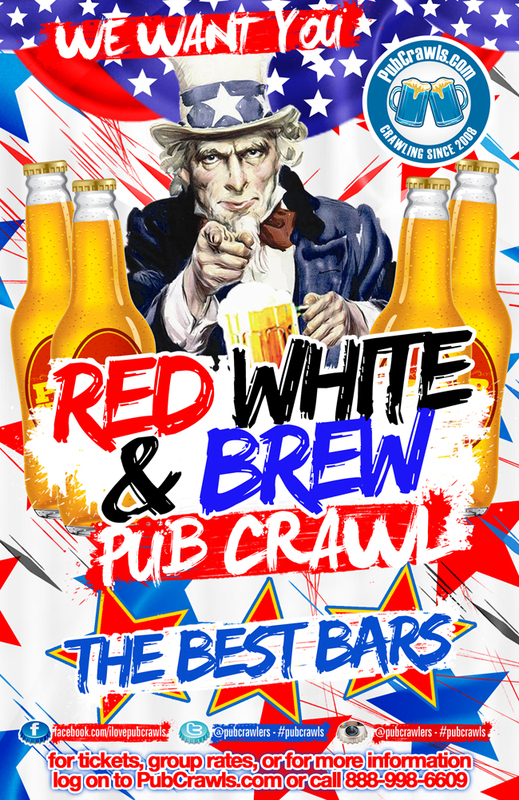 Just be sure to get your tickets for this 4th of July weekend pub crawl in New York City while you still can, it’s definitely one experience that’ll have you talking for the entire summer.